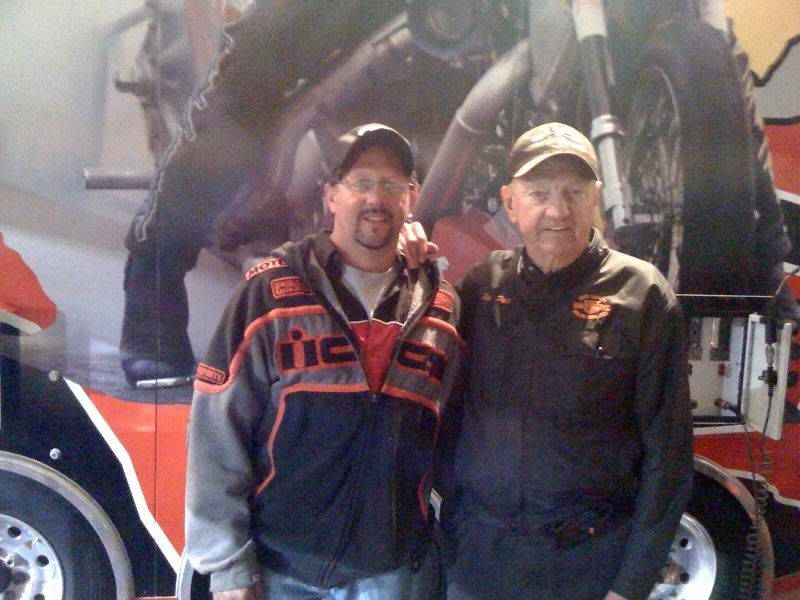 The Ray Price Racing Team arrived at Cecil County Dragway with high hopes for the 7th race in the NHRA Harley-Davidson Drag Racing Series as part of the NHRA Lucas Oil Drag Racing Series at Cecil County Dragway, Rising Sun, MD. After coming off an exciting time performing exhibition runs the previous weekend with Bob Malloy, as part of Night Under Fire at Summit Motorsports Park, the Akea/Ray Price Race Team was trying to capture their fifth win of the season. Qualifying took place on Friday with two rounds on the schedule. During the first round Tommy Grimes twisted the throttle to run a 6.349 ET at 232.11 MPH to put the team into the number two spot. After the run the team had a feeling that they might have hurt the motor, but went ahead and prepped the drag bike for the second round of qualifying. Then in the second round, the Akea/Ray Price nitro Harley put down a 6.36 ET, but the bike slowed and the team knew that the motor was hurt. The team now was in the number three spot going into Saturday’s eliminations. The team changed the motor Friday night and prepared the drag bike for Saturday’s eliminations. Not having the chance to put down a pass with the new motor before the first round of eliminations, the team tuned the drag bike knowing it would be a lot stronger going into eliminations. Facing Rickey House in the first round, Grimes twisted the throttle hard and the bike responded like it should, but spun the tire forcing the team to shut the Akea/Ray Price Race down. 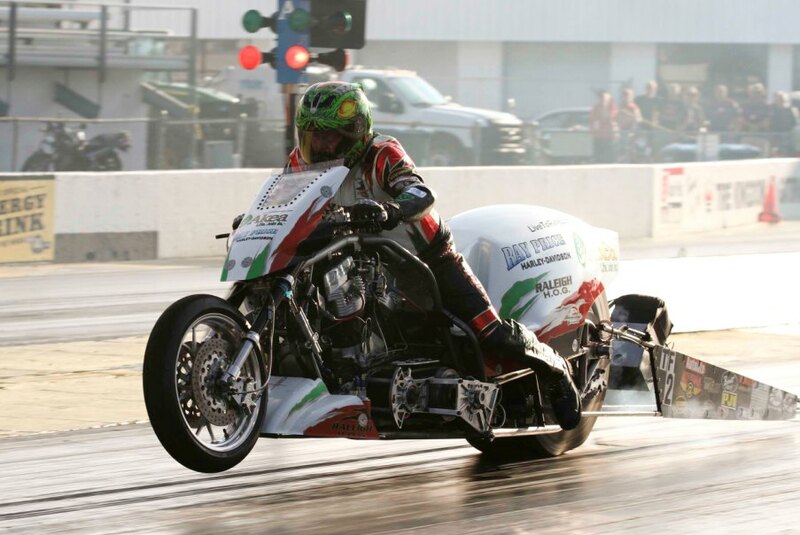 While the team came into the race hoping for the better, they knew that this wasn’t the weekend they would capture their fifth win of the NHRA Harley-Davidson Drag Racing Series. The team now gets ready for a trip to the west coast to Mission Raceway in Mission, British Columbia, Canada, for next NHRA Harley-Davidson Drag Racing Series event. The race takes place on September 5 – 7, 2014. The Ray Price Motorsports team sends sincere thanks to all their sponsors for their support for the 2014 race season. They include our Primary Sponsors: Akea, Ray Price Harley-Davidson, with special thanks to our Associate Sponsor Raleigh H. O. G. and our Support Sponsors: CP Pistons,Vanson Leathers, PJ1 Products, RC Components, Nationwide Insurance, Royal Purple, Barnett Clutches & Cables, Autolite Sparkplugs, Mickey Thompson Tires, Gates Belts, Brown and Miller Racing Solutions, JIMS USA, Industrial Machine Solutions and Wiley X. Additional thanks: Bill Hayes, Hargis Consulting, Ultra Pro Machining and Freddie Robbins.